We can see a big machine in the factory but it is not moving. Close-up shot. hd00:09A machine is designing material made from steel. It looks like a very complicated machine. Close-up shot. 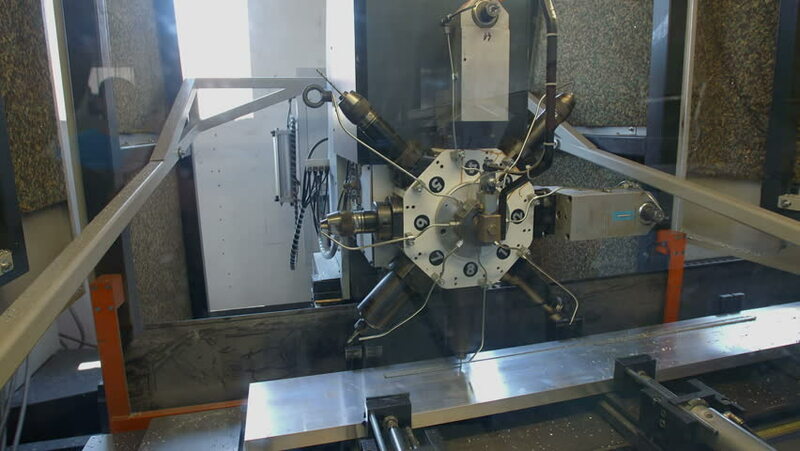 hd00:17The turner operates on a mechanical lathe. Old lathe with manual drive of all control arms.